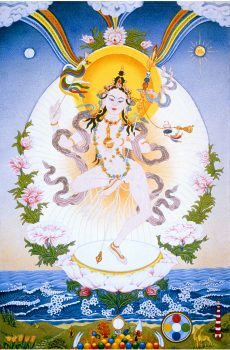 The next Mandarava Ganapuja webcast practice will be on June 28th at 12:00h (GMT-4) from Tsegyalgar East (USA). Being work day, we will do Short Mandarava Ganapuja version. We will not potentiate Namkha.